All PINERIDGE SUB homes currently listed for sale in Park City as of 04/19/2019 are shown below. You can change the search criteria at any time by pressing the 'Change Search' button below. 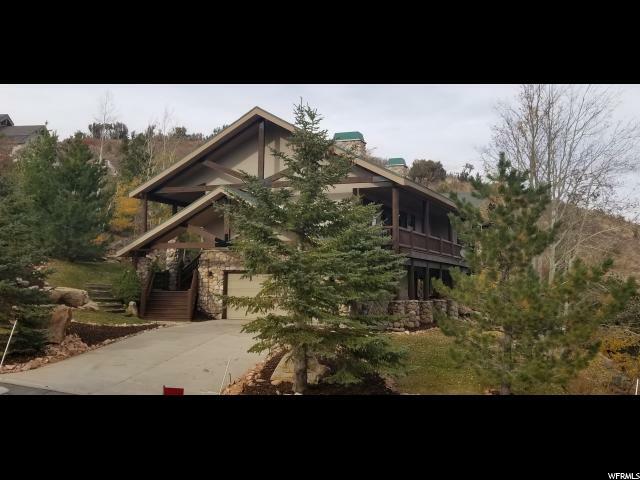 "This incredible mountain home rests at the crest of Pinebrook on 1.35 acres; with views that take in the valley and the Uintahs in the east, you'll enjoy a sunrise every morning. This 6 bedroom, 4 bath home has been updated with hardwood floors, granite countertops, quartz showers and brand new appliances. The expansive great room is complimented by a floor to ceiling river rock pass-through fireplace, and built in 20 ft maple bookcase: 2 kitchens come with matching maple cabinets. The master suite sports a lovely floor to ceiling river rock fireplace for the long winter nights. A lower level master suite lets you take care of your guests with style and comfort. Built specially to be energy efficient, this home will warm you after a great day on the slopes. With less than a 20 minute drive to choice ski resorts, shopping, and Salt Lake, you are close, but a world away. Square footage figures are provided as a courtesy estimate only and were obtained from county records . Buyer is advised to obtain an independent measurement."